Metro Vancouver - FTS Inc.
Metro Vancouver delivers regional services, policy and political leadership on behalf of 24 local authorities in the 3rd largest city in Canada..
Metro Vancouver serves an area of 282,000 hectares (approximately 1,088 square miles). The drinking water supplied to the 2.3 million residents of this growing community is sourced from three major reservoirs – Capilano, Seymour and Coquitlam. These vast watersheds, located in the mountains north of Vancouver, gather billions of gallons of snowmelt and rainwater. From these reservoirs, the water is treated and filtered to remove turbidity and potentially harmful micro-organisms ensuring quality drinking water is available to homes throughout the Metro Vancouver district. Metro Vancouver operates almost 50 environmental monitoring stations combined within the three watersheds. At the heart of this network is a real-time RMX VHF radio telemetry link developed and installed by FTS that provides routine access to critical data from a variety of alpine and valley sites. FTS GOES and GlobalStar satellite telemetry devices, along with telephone modems are used to supplement the network communications. VHF radio telemetry has proven to be much more reliable, lower in power consumption, and much more cost effective than any other telemetry system (including cellular). RMX radio is ideally suited to networks that have a regional cluster of stations. With smart radios and redundant radio links the network has a robust framework in the event of a node failure or more severe events such as an earthquake. Recent installation and expansion of real-time Scada turbidity early warning rafts are enhancing the ability to forecast and prevent potential boil water advisories associated with landslides and high turbidity plumes during extreme rainfall events. 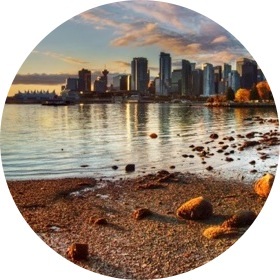 Average daily turbidities measured by the DTS-12 turbidity sensor are published in the Vancouver Sun newspaper and on the Metro Vancouver public website. Combined with over twenty years of reliable operational performance and a high level customer service and support, FTS’ network provides the reliable backbone to Metro Vancouver’s water supply.